Throughout our travels we've seen some memorable, and sometimes funny, signs. Here are a few that jumped out at us when we were browsing through our pictures. Enjoy! Note the Tipicos (meaning typical) menu items. You won't find empanadas at a KFC in the States. Also unique is that you can upgrade the soft drink in your combo to a beer for $2 more. There's nothing like a tall glass of sugar to quench your throat. No, we did not try one. Surfer and Monkey crossing sign. We saw both on this road. This sign displays the prices to use the public bathroom in the Panajachel market. It costs 7 cents US more to poop than pee. Toilet paper costs money. A sign protesting Monsanto in Guatemala. The protest worked. A bill forcing farmers to use their seed was revoked...at least for now. Books for sale at a look bookstore in Panajachel. Far and away some of the best material was spotted in the US. Do you get two free left ones or two free right ones? Being that you have to pay for your toilet paper in public restrooms in Guatemala, this is mind blowing. Seriously people of Salt Lake City...wash your hands. 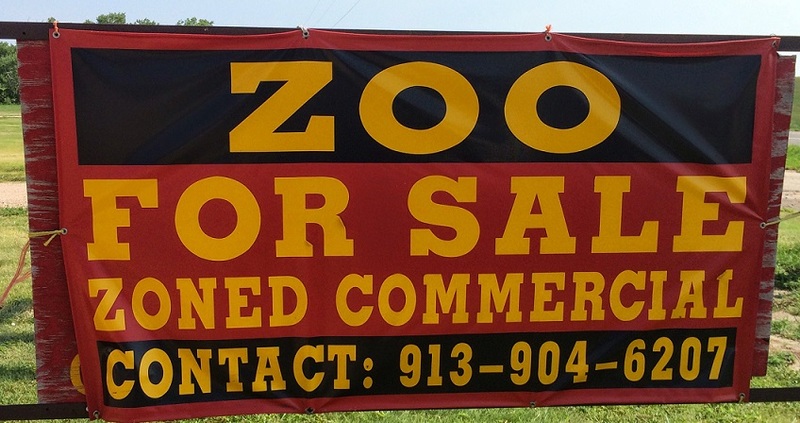 Zoo for Sale. It's not just a movie. We wrote about our visit to this attraction in an earlier blog. You can check it out here. Is this seriously a problem in Kansas? People walk on top of ice cream freezers? A Salad Bar in Richmond, MO cost exactly $4.52 (at least on Mondays). Citizens of Dallas, TX...water + office supplies does not make facial tissue. If you'd care to borrow some reading glasses while dining at this deli in Texas., you can...but really, would you? That's all for now. We'll stay on the look out for more weirdness (regardless of country).